MATI Energy! Stay FIT, ENERGIZED, + FABULOUS! Sounds like the perfection combination for a delicious (and healthy!) drink, right? SO RIGHT... and it's the proprietary brewing process that MATI Energy uses to extract 40% more nutrients than other brews. Ladies, if you're searching for a yummy + power boosting drink, may I introduce you to our new LATEST obsession!? 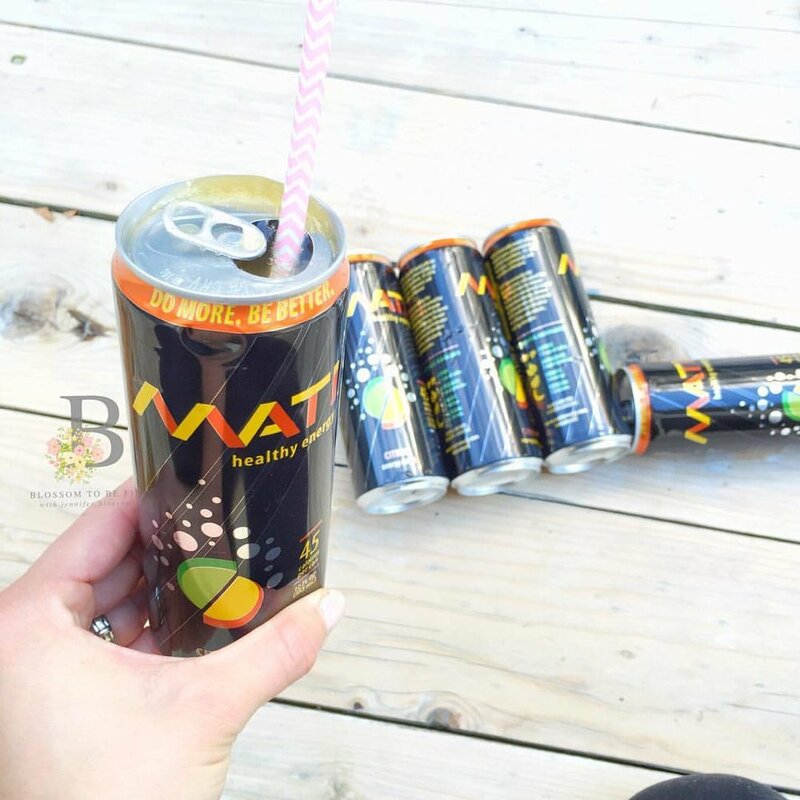 Meet MATI Energy, "The World's Best Energy Drink" and a claim I must say lives up to its meaning! Ladies, you know we're all about finding the best of the best, and MATI is of no exception. We received a delicious case of the "Citrus" flavor, which may very well one of the tastiest! My hubby and I dove in quickly and after examining the back of the can (again :) ), I was SO PROUD that he loved the drink (while mamma knew all the healthy ingredients inside!). Ready to see for yourself? No artificial ingredients, no harmful chemicals. Take a look inside the can of the citrus flavor! Pretty great, huh! Even better? Checkout the nutritional content! Ladies, the days of artificial energy drinks are OVER. I am so excited to share MATI with you. From their humble beginnings (It all started in a dorm room at Duke university! ), to the selling of brewed tea, MATI has the official stamp of approval from Blossom To Be Fit and we cannot wait until you get your hands on these yummy drinks! Check out their other flavors (Citrus, Cherry, Tropical) HERE and grab ALLLL the details on all things MATI HERE! MATI, thank you SO MUCH for the delish and healthy delivery! Alaska LOVES MATI! Looking for an extra 25% off your order? Get all the detail from MATI here!